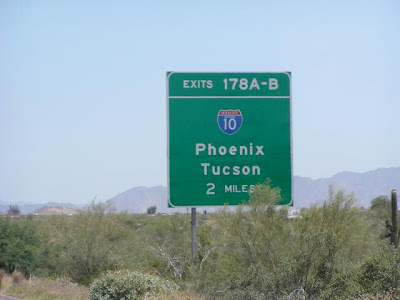 This week I'm in Tucson and Phoenix where it's 111 degrees! Pastey-faced, moldy, rusty Oregonians, like yours truly, wouldn't do well here, I reckon. I'd probably burst into flames if I had to stay much longer than a week.